This is such a tough one as the Dolphins are in prime position, due to all the "good" quarterbacks in this draft, to grab a playmaking defensive player if they stand pat at #11. If the Dolphins have a chance to draft QB Baker Mayfield or QB Josh Rosen, then they may try to trade up to #6 with the Colts if either one is available there. It will be very costly, so, my hope is that they stand pat at 11 and draft linebacker or safety. They can then draft a QB in round 2 or 3. It is hard to say whom they value more as linebacker and safety are both positions of need due to some inept free agent moves. ReShad Jones and Tim McDonald are the same type of safeties, so, they have a need for a Minkah Fintzpatrick or a Derwin James at safety. Either would be the type of player who can jump in and cover a tight end which is what they really want in this draft. LBs Roquan Smith and Tremain Edmunds would be outstanding picks as well, but teams are using the nickel more than the traditional LB set. Let's not forget that our linebackers have real question marks coming into this season. To me, linebacker is a bigger need than safety, but it all depends on how Miami's draft board looks. Several mocks have QB Baker Mayfield falling to 11, so, you have that, too. It is doubtful that it happens, but the Dolphins would be crazy to not draft Mayfield if he is available at 11. If by chance that QB Mayfield, S Fitzpatrick, S James, LB Smith, and LB Edmunds are already gone, you can count on DT Vita Vea being the choice. Trading down should not be an option for the Dolphins as "The enemy of great is good". I just can't see Coach Gase allowing GM Chris Grier to let Michel get past them if he is available. He is the type of running back that Gase loves as he is shifty and fast, very disciplined, and is a very good pass protector. The Dolphins fell behind quickly in games last year and did not have the offense to keep pace. I know what you are thinking: "Forget that, Dave. I'm going with Jammer's pick of Hayden Hurst as the Dolphins need a tight end in the worst way." That could definitely be the pick. To be honest, I really don't know the last time the Dolphins did draft a tight end that high. Ever? Maybe that is their problem. Still, I am going to stick with Michel as my pick. Word on the street is that Minkah Fitzpatrick holds more value with draftnicks than with the actual scouting community. Like we've seen in previous years, there is always a sure bet guy who suddenly falls out of the top 10. Miami is rumored to LOVE him and he is exactly what Gase and Burke are talking about in that hybrid situation. He has the flexibility to play cornerback as well but his responsibility would be the slot and taking out bigger tight ends. Maybe Rosen starts to slip or maybe Miami goes up and gets him but the UCLA quarterback seems like he'd be a perfect fit in Adam Gase's offense and he doesn't hamper the team's ability to win in the short term or over the long haul. Don't buy into all the off-the-field chatter surrounding Rosen, as he has the chance to be the best signal-caller in this class. Reshad Jones is one of the most underrated defensive backs in football, but he's 30 and the Dolphins need more talent in their secondary. James would be a nice pick here. This would be a nice replacement for Ndamukong Suh -- and a lot cheaper. He is a more athletic player than Haloti Ngata, who many compare him to in evaluations. The Dolphins have been showing interest in Smith, one of the draft's top linebackers. 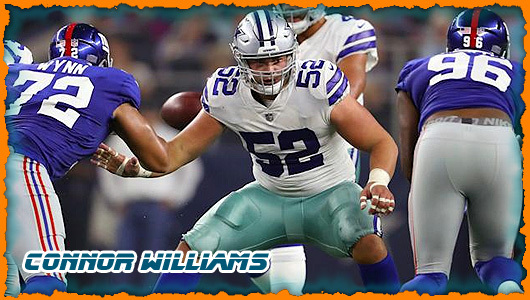 He'd be the long-term stud the team needs next to Raekwon McMillan, and the Dolphins could make him the immediate starter at WILL and look to trade Kiko Alonso to another team where he'd be a better fit. They can also think about getting out from Alonso's deal next offseason if nothing else. The Dolphins are another team that could trade up for a QB, but in this mock I have them drafting a replacement for Ndamukong Suh. The Dolphins appear resigned to the fact they won't be getting a quarterback in this draft class, which means they're simply taking the best player available. A confluence of events -- most of them quarterback-related -- have Smith falling to the Dolphins who, incidentally, would've loved the opportunity to draft a quarterback. But Smith is a fantastic consolation prize and saves Miami from reaching for a passer, especially since the team has serious needs at linebacker, especially after Lawrence Timmons' one and only hugely disappointing season in South Florida. No remaining quarterback is worth the 11th pick, so the Dolphins go fishing for an Ndamukong Suh replacement. The Dolphins need to hope and pray that Tannehill can come back next year healthy and stay healthy. His contract is not actually very troublesome if they decide to move on after next year, but he really needs to stay healthy. The Dolphins are mired in a bit of a mess with some poor free agent moves, and are aging quickly at several key positions. On defense they are in need of some young pieces and should keep an open mind at this point in the draft to taking talent over immediate need. Vea's performance at the Combine was exceptional, with 41 reps of the 225-pound bench press and a remarkable 5.10 40-yard dash time. Miami parted ways with DT Ndamukong Suh this off-season, and Vea would be a great pickup at this spot for the Dolphins. The Phins stay put and get the QB they were hoping for. Allen has accuracy issues, but his rocket arm will be well received. Not overly shabby to get a top quarterback at pick 11. Allen might have the most untapped potential who given time could end up being a star. Two areas of grave concern exist on the Dolphins roster. Using a first round pick on a linebacker is an uneasy proposition given the direction of the NFL, and the strength of this tight end class exists on day-two. Despite the national pundits still holding onto the idea that a quarterback is in play, Miami has made it clear that the position is already buttoned up with Ryan Tannehill. With Minkah Fitzpatrick and Derwin James off the board, the Dolphins look to fill the hole created by Ndamukong Suh's release. Vita Vea is a mountain of a man with elite athleticism and pass-rush ability. He would enter camp as the clear-cut favorite for DT1 and provide the Dolphins with an immediate impact player. Perhaps his best highlight from the 2017 season, Vea showed off his movement skills covering a punt in the Fiesta Bowl. Pairing Vea with Jordan Phillips, Davon Godchaux and Vincent Taylor would give the Dolphins a young, exciting group of interior defensive linemen. There are bigger needs for the Dolphins elsewhere, but this is about value. Fitzpatrick is one of the top all-around prospects in this class, and his versatility gives him the ability to make an immediate impact just about anywhere on the field for Miami. Trade up to pick #6 with Colts. If Denver passes on Mayfield, I think Miami pounces and moves up to get him. Moving up wouldn't bankrupt Miami from a draft-capital standpoint. The Dolphins like Ryan Tannehill when he's healthy, but they can't trust him to stay on the field. Lamar Jackson's evaluations are all over the place, as he's one of the more polarizing prospects in the draft, but it only takes one team to take you in the first round and if a quarterback needy team has a first round grade on him, they'll pull the trigger. Multiple teams had day 2 grades on Deshaun Watson last year but that didn't stop the Texans from trading up to get him at 12. Lamar Jackson should go in that range as well. 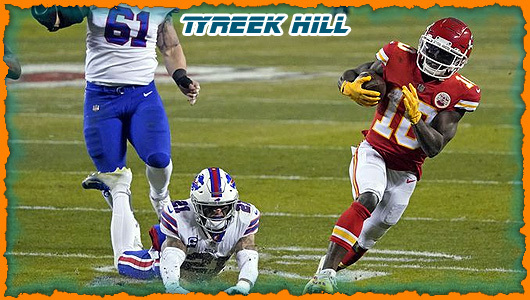 The Cardinals and Ravens are options and someone could trade up for him as well, but the Dolphins should be able to get him at 11 if they like him. Ryan Tannehill isn't a terrible starting quarterback, but he hasn't played since December 2016 with knee problems and is owed non-guaranteed salaries of 18.75 million and 19.5 million in 2019 and 2020, so the Dolphins could use a cheap young quarterback behind him on the depth chart. Miami would be a good spot for Jackson as he wouldn't need to play immediately and could spend a year on the bench developing. The Dolphins could also design some gadget plays for him as a rookie, to make use of his unique skill set while he develops as a passer. Reports are suggesting Miami could go quarterback here, but I think they have more faith in Ryan Tannehill than we're being led to believe. The Dolphins put their faith in Tannehill and finally address the linebacker position, which has been a need for years now. The Dolphins, who have sledgehammer safeties in Reshad Jones and T.J. McDonald, could use a burner like James who has the speed to blanket not just tight ends but receivers. 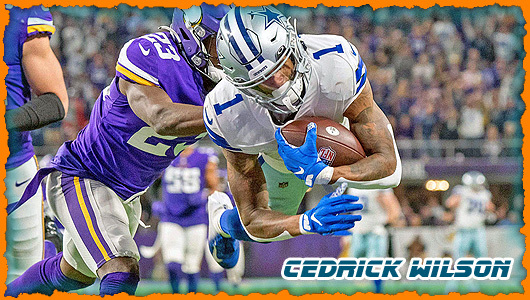 The Phins' pass defense placed right on the Mendoza line in 2017 and, despite Xavien Howard showing strong signs of encouragement, more is needed – a particularly prudent option with Vea off the board. Ward is a productive and complete cornerback. The Dolphins wasted little time upgrading their defense after reportedly trading for Rams pass-rusher Robert Quinn, but they still need help at linebacker. Roquan Smith was the leader of Georgia's defense and is the one of the best off-ball linebackers in this class. He's a do-it-all player with excellent sideline-to-sideline range, instincts, power and tackling ability. With the division-rival Jets and Bills picking quarterbacks in the top five, Miami keeps pace by adding Mayfield. The Phins have two of the three spots in their linebacking corps settled with Kiko Alonso and Raewkon McMillan. This choice could provide the final and most dynamic piece of the puzzle, whether it's Georgia's Roquan Smith or Edmunds. 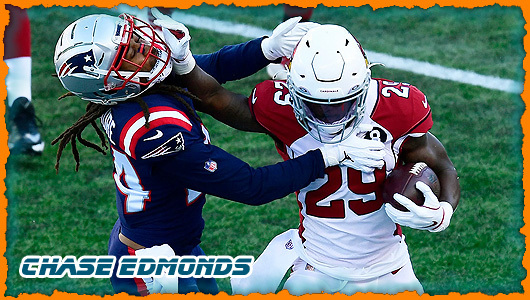 Edmunds has a knack for the big play, notching an eye-popping 32.5 tackles behind the line of scrimmage the past two seasons. Not to mention 10.0 sacks as a pass rusher / blitzer. A fast, athletic 'backer with a large frame as well as excellent movement skills and range, Edmunds is one of the most versatile front seven prospects in this class. What's even scarier is he won't turn 20-years-old until after the draft and is only going to get better. There is a distinct possibility that both Smith and Edmunds will already be off the board. 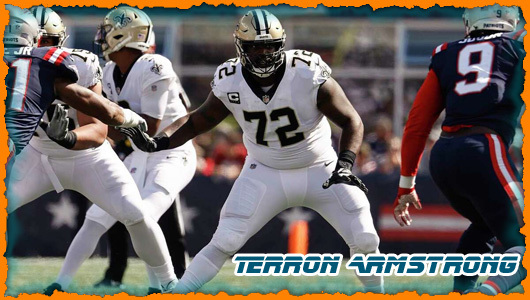 In that scenario Miami could turn their attention to the offensive line, where they continue to have issues and Ja'Wuan James could be sent packing as a cap casualty. All I know is, quarterbacks are always drafted higher than we think. And running backs and safeties have a tendency to slide. All I know is, the Dolphins have a need at: linebacker, defensive tackle, quarterback, running back and tight end. All I know is, I actually correctly guessed Charles Harris to the Dolphins in my first mock draft last year. That does not mean I will correctly predict anything this time. So don't bet on it. 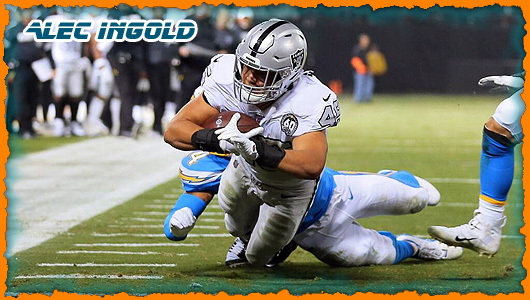 But I might put the positional odds something like this: linebacker (50 percent), defensive tackle (25 percent), quarterback (15 percent), running back (10 percent). I just made that up on the fly. But I'm sure Miami has sketched out every possible scenario. In my eyes, there will be run of 4 QBs in the top 5 picks, this actually benefits the Dolphins to obtain a legit Defensive player. 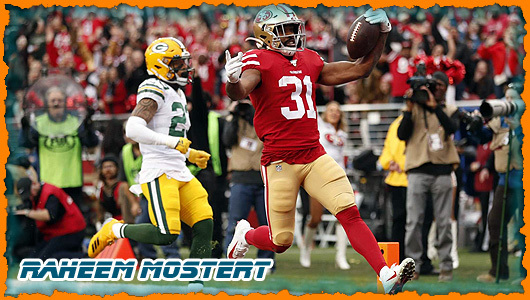 Edmunds has been my pick since the beginning, but with all the QBs now gone, I doubt that he makes it past the 49ers (issues with Ruben Foster). Whomever loses out on Edmunds – will get Smith (Bears or Oakland). Here is the thing – during the GM meetings, Gase specifically called out his Safeties and their lack of game play. I'm not saying that is the main reason, but when the Dolphins lead the league in yards obtained from an opposing Tight End –they need to do something. James is the next coming of Sean Taylor. He plays with a fire that I haven't seen in a while and would automatically increase the Dolphins presence on the back-end. I am pretty confident that Minkah Fitzpatrick is the top defensive player on Miami's board. But...I only think the Dolphins would trade up for Minkah if all 4 QBs were off the board. Would lower the price of moving up. Ndamukong Suh has moved on. The Dolphins have a number of needs and stopping the run is one of them. Vea is massive, powerful and surprisingly quick. He has too much potential for Miami to pass on him. Seemingly always in need of a chase-and-run linebacker, the Dolphins add the draft's best in Smith who is a three-down playmaker. He has excellent range and closing speed in coverage and he always finds the ball in the run game. Most importantly, Smith finishes the play when he gets there as he missed only 18 tackles on 249 career attempts. For all the reasons listed above, I think the Dolphins would need to move up for Baker. Teams now more than ever are willing to deal next year's first to go up and get a quarterback. What it hurts in lost draft capital, it makes up for in financial flexibility, although that doesn't apply to the Dolphins, who manage their books like a South Beach gentleman's club that's in deep with the shylocks. Ryan Tannehill converted some of his 2018 salary into a bonus, which, translated, means he's not going anywhere anytime soon. But hey, at least they have Danny Amendola! Cutting Suh does not mean the Dolphins don't value defensive tackles. The price tag is totally different here, and if Mayfield, linebackers and Derwin James are off the board, Vea makes sense. He will make any linebacker who runs behind him better. Linebacker was an issue for the Dolphins in 2017, but the team has second-round pick Raekwon McMillan ready to step in after missing his rookie year with an ACL tear. But there's still a hole at the position after the release of Lawrence Timmons. In Edmunds, Miami can pair a 20-year-old linebacker with 22-year-old McMillan and potentially be set at the position for many years to come. If the Dolphins don't take a quarterback here, they need to add a playmaker on defense. In Miami, James would be a linebacker, a role he basically played at Florida State last season. The Dolphins appear to be enamored with the Oklahoma star, and if he falls to 11, there's an excellent chance Miami and coach Adam Gase pounce on the Heisman Trophy winner. I flirted with putting Marcus Davenport here, but in the end, with Ndamukong Suh gone, Miami needs help on the interior more. Payne is a safe pick in this area. Ndamukong Suh is gone. Enter Vea, a massive run-stuffing DT. Miami's defense was merely average with Ndamukong Suh, which speaks volumes. Last year's linebackers didn't prove very effective despite the benefit of lining up behind Suh and the double teams he commanded. Hence, a strong case to be made for a guy like Smith, who's far more capable of making plays on his own while bringing a nice streak of leadership. There's enough interest for Baker Mayfield that if he isn't taken in the top six, one team will trade up for him. I had the Saints doing so in a recent update, and now I have the Dolphins opting to pull the trigger in this version. The Dolphins have been linked to Mayfield, and reports indicate that they are ready to move on from Ryan Tannehill as their quarterback. Perhaps they'd move up in a trade of some sort, much like the Bills. Cameron Wake is approaching his late 30s, and Robert Quinn has struggled to stay healthy recently, so developing another edge pass rusher should be high on Miami's list. The team has been rumored to be looking at a quarterback, as well, but that could be difficult if the Dolphins don't move up. Edmunds is a capable pass rusher who has also shown ability as an inside backer. 42. Miami Dolphins: Maurice Hurst, DT, Michigan. Replacing Ndamukong Suh won't be easy, but there are plenty of players capable of helping the Dolphins on the interior in this year's draft. Hurst had a total of 10.5 sacks over the last two seasons for the Wolverines.